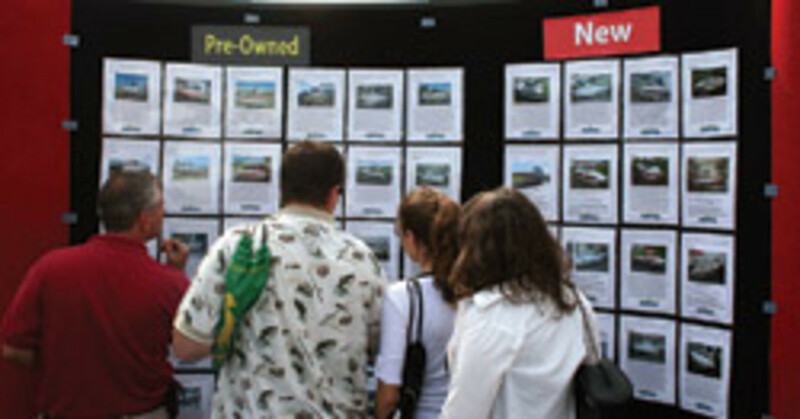 They were sometimes called aspirational buyers. They were the people who coveted - and bought - toys they could not afford, using easily available credit, iffy FICO scores, no money down and long loan terms. The generation of consumers that was conditioned to emulate the rich and famous sometimes even bought luxury items, boats included, on impulse. The longer the recession drags on and the consumer continues to favor used boats over new, however, the more dealers and manufacturers wonder whether the aspirational buyer is a thing of the past. Some dealers are looking for smaller, less expensive models to display on their showroom floors, and some manufacturers are introducing "value lines." "As an industry, we seem to be leaving the middle class behind with the price points of our products," says Paxson St. Clair, chief executive of Neodesha, Kan.-based Cobalt Boats, a high-end builder. "Technology is something that we as an industry use to ratchet the price up." It&apos;s time to get back to basics and make boating more affordable, agrees William H. McGill, president and CEO of Clearwater, Fla.-based MarineMax, the nation&apos;s largest boating retailer. "If the consumer has changed - and I guarantee you the consumer has changed in the last two years - everyone is more sensitive about the money they&apos;re spending," he says. Car prices have risen in the last decade, but not nearly as quickly as boat prices, St. Clair says. Boatbuilders cite new technology and frills as reasons for the dramatic escalation, but cars often have the same technology, he says. "What we&apos;ve done is raised the price of the boat at such a high rate, we&apos;ve priced out the middle-class American," St. Clair says. "A lot of these builders don&apos;t have an entry-level model." St. Clair thinks a return to affordable boats is the key to ensuring a healthy post-recession industry. He concedes, however, that Cobalt, which built its reputation on luxury powerboats, has no plans for a value product. Automakers have an easier time keeping down costs because they build far more units than boatbuilders, says National Marine Manufacturers Association president Thom Dammrich. In a bad year, the auto industry still turns out between 10 million and 11 million cars and in a good year 17 million or 18 million, he says. Last year the marine industry built 70,000 boats. In a good year, it builds about 300,000. "For years, as long as I&apos;ve been in the industry, everybody was working to build bigger and bigger and bigger boats and it&apos;s interesting to hear that it&apos;s kind of moving in the other direction," Dammrich says. "And I think it needs to. We&apos;ve got to build what the market wants and right now it wants smaller boats." It&apos;s important for the industry as a whole to keep boating affordable, says Steve Tadd, director of marketing at Elkhart, Ind.-based Nautic Global Group, which builds Rinker, Hurricane, Polar Kraft and Godfrey boats. "There are still so many people who want to go boating. The industry is not going away," Tadd says. "Those who can help make boating more affordable - they&apos;re going to win in this market." People haven&apos;t lost their enthusiasm for boating, agrees Clint Moore, president and CEO of Chesapeake, Va.-based Volvo Penta of the Americas. "Our spare parts business is the strongest it&apos;s ever been," Moore says. "What that tells us is that people are using their boats." Dealers and manufacturers have contributed to "over-contented" products - boats that come with more technology and luxury options than necessary, McGill says. "We&apos;ve got to simplify what we&apos;re doing for the consumer because with all the sophisticated technology comes problems," he says. Some manufacturers are ramping up production on value-driven lines to lure buyers who have put large expenditures on hold. Nautic Global Group introduced what it dubbed its "smoking hot deal" for the boat shows in fall 2008 and early 2009, reacting quickly to an economy that had skidded sharply, says marketing and sales manager Richard Gasaway. It was the 20-foot 2086 Sweetwater Tuscany, with a 40-hp engine. "It was a really attractive boat, but really just bare-bones," Gasaway says. It retailed for $12,999 at shows and was extremely popular, he says. "Today we offer about 40 models you would call value models that back then didn&apos;t exist or existed in different ways, [with] a higher price tag, more content or whatever," he says. "We&apos;re really trying to meet the demand of boat buyers and keep our plants running." That strategy has helped Nautic avoid factory shutdowns, Gasaway says. The trick for manufacturers is to figure out how to provide a more basic boat while maintaining quality, he says. The recession gave Nautic an opportunity to analyze the pricing structure on each model and executives quickly realized that the prices were based on the much healthier market of a few years earlier, Tadd says. 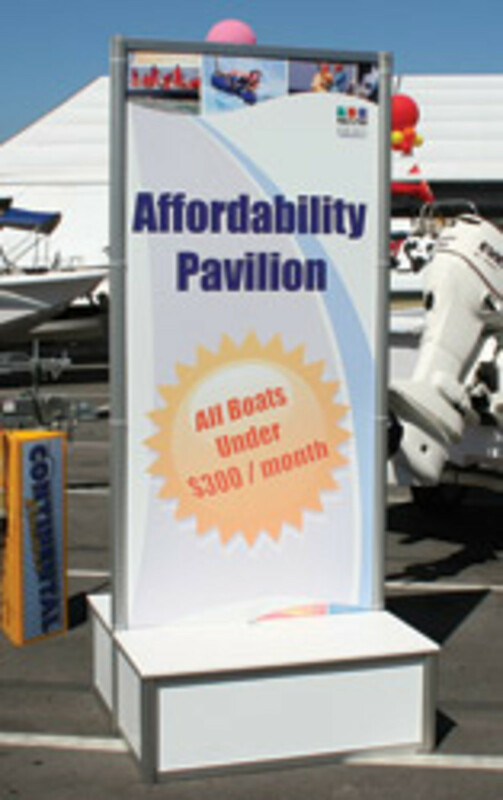 "When you don&apos;t add content to boats, you come out with a lower price and you also eliminate confusion," Gasaway says. "You eliminate having to talk about all the features and accessories. That makes it easier for the dealer and it makes it easier for the consumer to make that buying decision." But just coming out with the cheapest boat isn&apos;t the answer, either, Gasaway says. "It&apos;s not just about going out there and undercutting the market, because the industry has to stay healthy and it&apos;s more damaging when a company shuts down or declares bankruptcy," Gasaway says. "That impacts everyone - from consumers to manufacturers to suppliers to dealers - everyone in the industry." Since May, Tiara Yachts, of Holland, Mich., has been offering its Sovran 3500 as a limited-edition boat with a significantly reduced price. The builder and its dealers have chopped about $160,000 from the retail price, offering the boat with Volvo Penta IPS400 diesels for $399,000, company officials say. Instead of building a boat and then determining its price, some manufacturers are identifying a reasonable price point and building the boat to that figure, Dammrich says. MarineMax has decided to reduce options with manufacturers this year, McGill says. "The manufacturers are fine with what we want to do," he says. "It&apos;s the right thing to do in order to get the cost down without sacrificing what people want on the boats." In some cases boats have more horsepower than necessary, McGill says. "The smaller the boat, the greater percentage the engine cost is," he says. "On a small boat with a little 40-hp engine, the boat ran 36 mph. For most people, 30 mph is enough; [the industry builds] boats that run 40 or 50, but in most cases that&apos;s not needed." Because engines factor so largely into a boat&apos;s sticker price, Nautic has slightly reduced the horsepower on some of its outboard value lines. The result is a boat that has sufficient muscle, but is not overpowered - stepping away from the bigger-is-better mentality. "That does make a difference when you&apos;re trying to stay on budget," Gasaway says. "There has been demand for those 40-, 50- or 90-hp [models]." Volvo Penta has been seeing more demand for its 225-hp V-6 than its 250-hp V-8, Moore says. "It&apos;s not dramatic, but there&apos;s certainly some of that going on," he says. "It does bring the cost of the boat down." "You&apos;ve got to know what you can sell the boat for and figure out a way to make it," Gasaway says. "You challenge yourself as far as your own business model and of course ... you&apos;ve got to satisfy investors or shareholders, but it requires a different way of thinking." Despite the shift, there always will be diversity in power and options, Dammrich says. "There are some manufacturers who will decide a value price level, and [chose] to attract the value market," he says. "And there are others, like Cobalt, and they produce a premium product." Larry Russo, owner of Russo Marine in Medford, Mass., does not think value lines are the answer. The only thing that will sway new-boat sales is a more secure feeling about the economy, he says. Some of the amenities on boats don&apos;t make sense and eliminating them helps trim prices, McGill says. A 40-foot boat with two staterooms might have four televisions - even one in the cockpit - which is "insanity because you can&apos;t even see it in the cockpit," he says. Sometimes when one boatbuilder does something, others think they need to follow suit, McGill says. "Everybody&apos;s guilty of this," he says, "and there goes the price. I think we&apos;ve got to get back to basics." MarineMax is working with store managers to convince customers that one television ensures the family is together - or, if a second is crucial, to invest in an iPad and come out ahead, McGill says. Another example is air conditioning, he says. Twenty years ago, MarineMax sold 28-foot boats in Florida that didn&apos;t have air conditioning. Today, not only do they have air conditioners, but they also have generators. "They go outdoors to enjoy the boat, and 90 percent of the time if they did sleep in it, they dock it and hook it up to shore power," McGill says. "So we have to look at how customers are boating and say, Why complicate things if you don&apos;t need to?" People who take extended cruises still may want those amenities, McGill says, but taking them off the basic boat helps people avoid sticker shock during their first visit to a dealership. 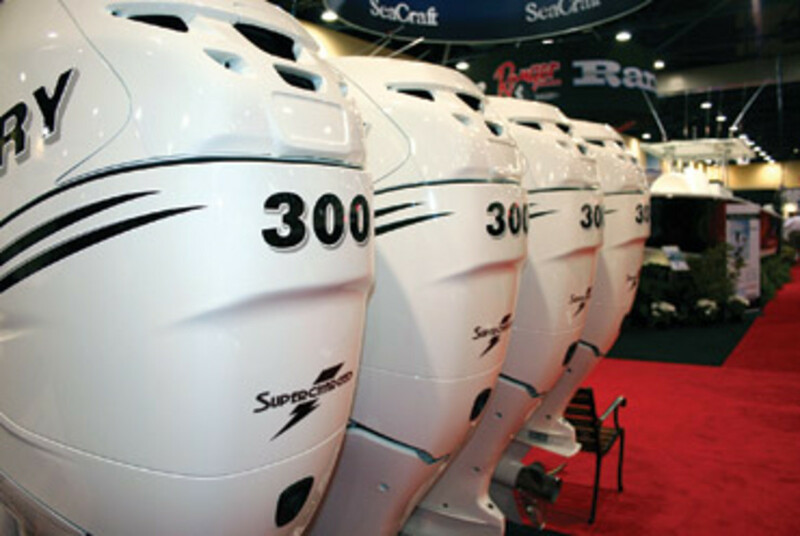 "For 2011, we are streamlining what we&apos;re doing with manufacturers because the price points are critical today more so than ever, especially when you&apos;re competing against repos and the used-boat market," he says. "We&apos;re going to spearhead ... and say, Enough&apos;s enough." Brunswick Corp., the world&apos;s largest boatbuilder, also has been reducing variants on its brands to cut overhead. The company is working to bundle the most popular features to decrease complexity, cost and lead time to dealers, says Stephen Wolpert, vice president of manufacturing. 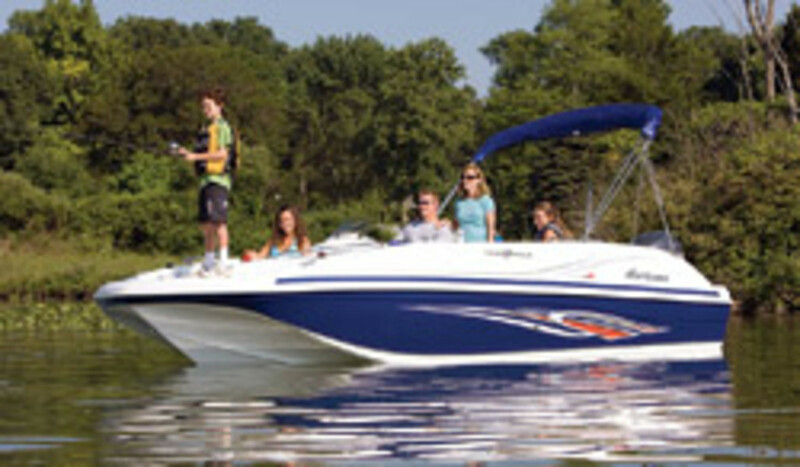 Brunswick also is engineering boats to accommodate dealer-installed personal customization packages. The company believes post-recession consumer-buying behavior will tend toward smart spending rather than conspicuous consumption, Wolpert says. Although Nautic is reducing options on some brands, it&apos;s leaving others "feature-rich," Gasaway says. The company&apos;s Hurricanes and Rinkers did not have the proliferation of models that the pontoon segment experienced because of the numerous possibilities on pontoons - from layout and design to the number of gates. "We had a brochure for every different model," Gasaway says. "We had a pontoon with three gates and a model with four gates. Why not have a model with three gates and have an option for the fourth? That, for us, was low-hanging fruit to eliminate right away." Nautic has reduced its pontoon offerings about 30 percent. Volvo Penta had 141 variants on its engines in 2007, Moore says. Today it has fewer than 30. "Today probably 90 percent of our volume is done by fewer than 25 specifications, even when you include the complexity of export versus import," Moore says. "You can&apos;t run so many configurations through your operations at the volume levels we see today and are likely to see next year." St. Clair worries that if the middle class is priced out of buying boats, the larger engines he uses on his Cobalts will cost more. "It becomes a vicious cycle because the engine maker needs to sell a high volume of the less expensive engines or the overhead on the big, powerful engines is too high and that gets passed on to Cobalt buyers," he says. Engine makers have high fixed costs and low variable costs, and the boatbuilder has the inverse situation, Moore says. That has caused margins to deteriorate. "We have had suppliers raise prices, which we&apos;ve had to pass along," he says. "But the primary culprit in that is fixed-cost absorption, and that you can&apos;t really pass along to the boatbuilder or consumer or you&apos;ve just priced yourself out of the market. So we eat a lot of that." Volvo Penta has worked hard to bring fixed costs down to the point at which the company can run the plant without interruption and still maintain flexibility, Moore says. "We have reset the company so we can be nicely profitable to be healthy at lower volumes than we had to generate in 2006," Moore says. "Basically, through cost control and reductions in overhead, we&apos;ve been able to dramatically lower our break-even points." Volvo Penta still would like to see higher volumes, but "we feel pretty comfortable that the volume levels needed are attainable to be nicely profitable," he says. One of the reasons for the disparity between the price of boats and the price of cars is unit volume. The same holds true with engines. Volvo Penta has the advantage of being able to purchase auto-based engines for its sterndrives. Those are a very high-volume business, so Volvo Penta gets them at a good value, Moore says. "Whatever we pay ... for the base engine is very value-priced," he says. "The marinization products we add are at a higher price." That process includes developing the engine so it can run harder, or under greater loads, for more extended periods than automobile engines. With less inventory in showrooms and fewer repossessed boats on the market, many dealers are finally in a position to order more from manufacturers. And even if sales remain flat, manufacturers will have to run plants to meet demand. "There&apos;s no pipeline, so new-boat dealers will have to bring in boats to match what they had last year," Moore says. "That means I&apos;ve got to run my plant and Paxson&apos;s got to run his." Meeting new emissions standards will increase the price of boats in the next selling season, Moore says. Beginning in January, sterndrive and inboard engine manufacturers will be required to incorporate catalytic converters. That could raise a boat&apos;s price more than $3,000 without the consumer seeing a difference in performance, Tadd says. "Competing with used sterndrives that weren&apos;t under the EPA mandate will be impossible," he says. "This is going to shift demand in the industry. We strongly believe, and statistics would show already, that the price increase with catalytic converters is going to shift demand toward outboards and our company is positioned to take advantage of that." That shift will be in the 18- to 24-foot range, Gasaway says, where the price increase will have the largest impact. 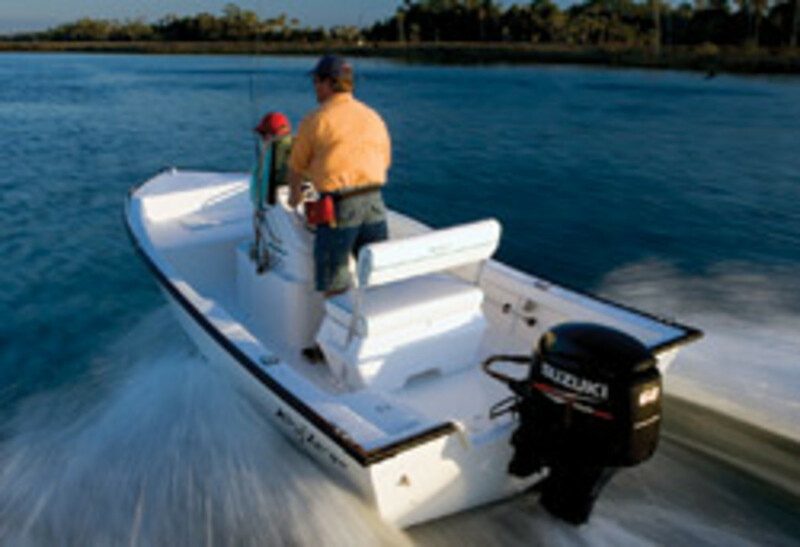 In that range, builders can opt for less horsepower with outboards and take advantage of the price reduction as a result of that power reduction, he says. One cost that manufacturers can&apos;t address is the money it takes to be a boat owner. Some dealers say potential buyers tell them they&apos;re afraid to make the leap because it can be expensive to own a boat. "What I&apos;m hearing right now is that it&apos;s too expensive," says Mike Basso Jr., general manager of Sun Country Marine in California. "One customer sold his 58 and he&apos;s going down to a 45-footer because it&apos;s less expense. He can&apos;t afford the slip anymore. I guess this [recession] has affected more people than we think." Mike Ryan, owner of Ryan Marine Inc., a marine and charter service company based in Woods Hole, Mass., says he&apos;s selling the three smallest of his five boats because slip prices on Cape Cod have increased by thousands of dollars in the last few years. He says he launched a business taking tourists out in Provincetown Harbor and serving cocktails at a cash bar to justify keeping his 50-foot Chesapeake. His other boat, a 65-foot Stapleton, is used for marine research contract work. "Can we even build boats cheaper? How inexpensive does it have to be?" asks Alan Bohling, president of Seattle Marine Co., a Cobalt dealership. "I don&apos;t think it&apos;s the price of the boat. I think it&apos;s everything else in addition to it - where you store or moor, or service costs." Loan terms are longer on boats, so monthly payments work out to be similar to a car payment, Bohling says. It&apos;s the other costs that scare potential customers away. Slip prices only go as high as the market can bear, says Russo, the Massachusetts dealer. "When they start losing boats, they&apos;ll drop prices," he says. "In a good economy ... [marina operators] were thinking, I could sell to a condo developer for X, so I&apos;m going to change my rates. They got full of themselves." The decline in real estate values also should help get prices back down, Bohling says. And Moore believes larger boats will start selling again. "There are plenty of people out there who can afford a bigger boat, but because of the economy are biding their time," Moore says. "Hopefully sooner rather than later the economy will straighten out and they&apos;ll be comfortable enough to buy a bigger boat. As the economy starts to improve, the segment above 20 feet, according to our plan, will ramp up quite quickly." Even though Volvo Penta&apos;s business model is built around predictions for lower volumes than at the industry&apos;s peak, Moore says there still are people who want to buy big and those boats will need larger engines. "In May of 2011, the people buying boats may still be those small-boat-buying people," he says. "Our expectation is that in the next year the pattern will start to change." "Boating has to remain an aspiration," Bohling says. "Individuals have to feel that they can enjoy life and it isn&apos;t a constant daily burden." Moore says he has learned a lot about economic cycles from nearly four decades in the business. "We&apos;re in a period of time where there&apos;s just enormous uncertainty and the market we&apos;re experiencing today is probably very different from what we&apos;re going to experience once the economy straightens out," he says.